It’s been a few weeks since Twitter unveiled a new look for profiles, and it’s very similar to Facebook. Which is not a bad idea. If you want to increase user engagement, draw new people to Twitter and attract an older demographic that may be more comfortable with the look and feel of Facebook, why not borrow some of Facebook’s design? Google+ and LinkedIn are already doing it. If you want the new design, you can get it here. Before you do that, here’s a few things you should know before you make the switch. 1. Do not use your old Twitter header photo as your new header photo. When you switch your profile and opt to use your old header photo, you’ll notice right away that it’s not the best fit, especially if it’s from a low resolution photo you took with your phone. The size has increased to 1,500 pixels wide and 500 pixels high, and that translates to a giant, stretched out header photo from the old format. What should you do instead? Use a higher resolution image that fits the space, or a photo that looks crisp when you resize it for the new header dimensions. If you want to use a lower resolution photo, consider doing a collage using a free tool like PicMonkey or Canva, and set the collage dimensions for the new size. I didn’t have any high resolution photos that I wanted to use, so the college option really worked well for me. 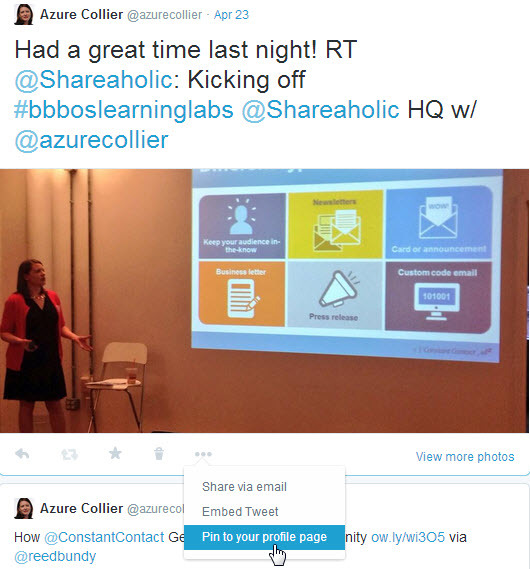 The new profile lets you off a favorite or important tweet with the pinned tweets feature. 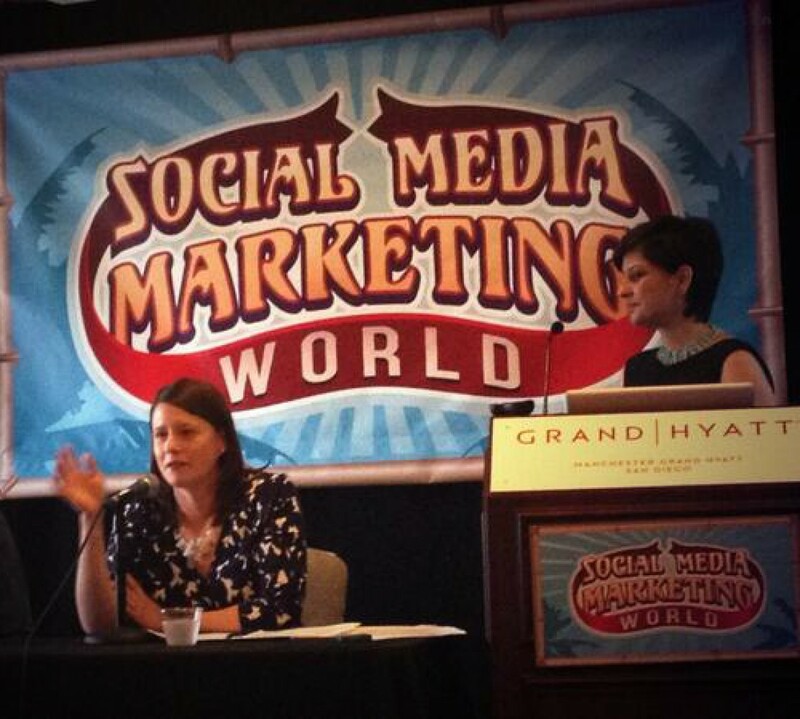 Have a prolific, visual, newsworthy, event-related or time-sensitive tweet you want people to notice on your profile? Click on the more option on the bottom of a tweet (the icon that looks like dots), and then select Pin to your profile page. The tweet will appear right below your header photo at the top of your profile, and it will be labeled as a pinned tweet. You can only pin one tweet at a time, and if you want to change the pinned tweet, just use the same steps. Twitter will ask if you want to unpin your current pinned tweet before you replace it. 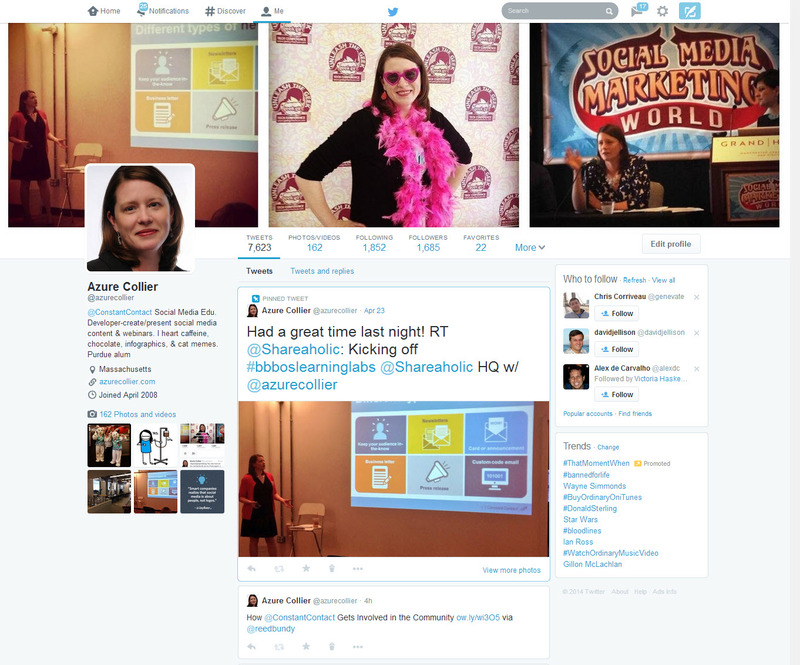 Twitter will now highlight your most popular tweets by making them appear larger in your Twitter profile tweet stream. How does it choose which tweets to emphasize? 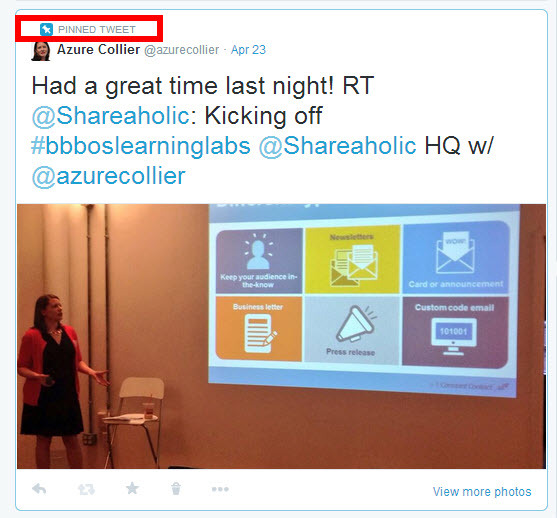 It’s based on engagement – tweets with more retweets, replies and favorites will get the special treatment. This is an interesting feature because it’s out of your control. Highlighted tweets are dictated by your followers, not you. It’s easy to see which kind content your followers like based on those highlighted tweets. What’s your take on the new Twitter profile? Love it? Hate it? Did you switch yet?